DRTV Service are trusted appliance repair specialists with over 60 years of experience in electronics and appliance repairs in the Toowoomba region. We work on just about any kind of electronic product or appliance, be it a speaker system, amplifier or record player. We’re a family run team with two generations of experience under our belt, allowing us to work confidently on appliances new and old, including vacuum tube / valve systems. Please give us a call on 07 46321044 to discuss our services or arrange for a repair assessment, or come into our shop and speak to one of our friendly staff in person! We also source a range of spare parts, including record player styluses, vacuum cleaner parts, TV remotes and more. Check out our page on vintage TV & valve appliance repair. With over 60 years of knowledge handed down over two generations, our family-run team understand all the intricacies of vintage electronics and valve circuit design. 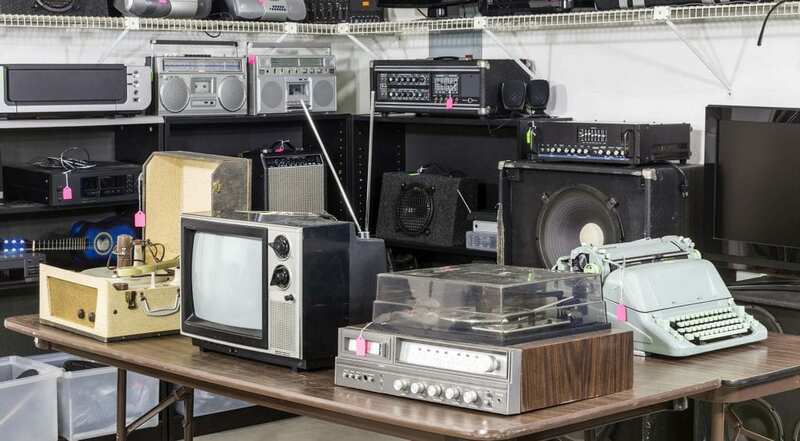 We service everything from guitar amps to valve tv’s to radiograms, using high-quality components and replica parts to get antique vacuum tube and valve appliances back up and running to their full potential. Original schematics and servicing manuals are referred to whenever possible for a factory-grade repair or circuit restoration. There’s been increased uptake in record player usage, with more and more people turning back to the tried and true tonal qualities of vinyl records. With that, we’ve had more and more vintage record player repair work come in. We perform everything from stylus replacements to circuit board repairs. If you’re about to use a record player that hasn’t been turned on for many years, we recommend at least replacing the stylus and belt to ensure that your records aren’t damaged and the audio quality is maximised. We’ve got experience in unique audio applications and can take care of almost any fault we find. From guitar amp cabinet rewires and speaker replacements to subwoofer repairs, we’ve got you covered. Soundbars and speakers that are starting to get a muffled sound or fizzle at low or high frequencies indicate that the speakers are about to blow, or they haven’t been mounted correctly. Subwoofers are usually electronically-powered and sometimes the driving unit within them will fail – a fault that we’ve repaired many times before. Give DRTV Service a call on 07 46321044 or visit our shop to discuss our electric appliance repair services. We offer 60+ years of electrical appliance repair experience with delivery to most of the Darling Downs and Toowoomba area.